The redemption date for each of the above series of preferred stock, depositary shares and senior notes will be October 23, 2018. The redemption price for the Series G 5.40% Senior Notes will be 100% of the principal amount thereof plus accrued and unpaid interest to the redemption date. The redemption price for the Series 2009A 5.55% Senior Notes will be the greater of (i) 100% of the principal amount of the notes to be redeemed or (ii) the sum of the present values of the remaining scheduled payments of principal and interest on the notes to be redeemed (not including any portion of such payments of interest accrued to the redemption date) discounted (for purposes of determining present value) to the redemption date on a semi-annual basis (assuming a 360-day year consisting of twelve 30-day months) at a discount rate equal to the treasury yield plus 45 basis points, plus, in each case, accrued and unpaid interest thereon to the redemption date. The treasury yield will be determined in accordance with the terms of the Series 2009A 5.55% Senior Notes prior to the redemption date. Questions relating to the preferred stock and depositary shares redemptions and requests for copies of the related notices of redemption should be directed to EQ Shareowner Services, the redemption agent for the preferred stock and depositary shares, at 1-800-468-9716. Questions relating to the senior notes redemptions and requests for copies of the related notices of redemption should be directed to Wells Fargo Bank, National Association, the paying agent for the senior notes, at 1-800-344-5128. Mississippi Power, a subsidiary of Southern Company (NYSE: SO), produces safe, reliable and environmentally responsible energy for nearly 187,000 customers in 23 southeast Mississippi counties. With nearly 160 megawatts of approved solar energy capacity, Mississippi Power is the largest partner in providing renewable energy in the state of Mississippi. 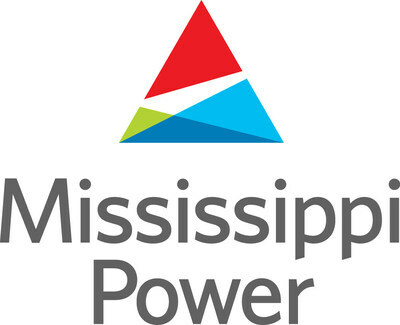 Visit our websites at mississippipower.com and mississippipowernews.com, like us on Facebook, and follow us on Twitter, LinkedIn, and YouTube.